Part man, part machine, Vic Stone is a former member of the Teen Titans and a current member of the Justice League who wrestles to preserve his humanity with every new upgrade. Although he always exhibited a genius level intellect, young Victor Stone didn’t want a life dedicated to science and research like his parents. Instead, Vic dreamed of being a football player, and devoted all of his time to becoming a star athlete while he was still in high school. But a tragic twist of fate that should have left him dead instead found him becoming part man and part machine—a Cyborg. Saved by his scientist father after an accident left very little of Victor’s body intact, Dr. Silas Stone used all of his advanced scientific knowledge to save his only child’s life, and to rebuild him into a superior being, one that was arguably now more machine than man. As a cyborg, Vic was now far stronger than the average person, could interface with computers, and emit various types of energy that made him a formidable fighter. Although he ultimately chose the path of the Super Hero, Victor never fully acclimated to being only partially human. He always carried a sadness within him as he mourns for the normal life he never had. 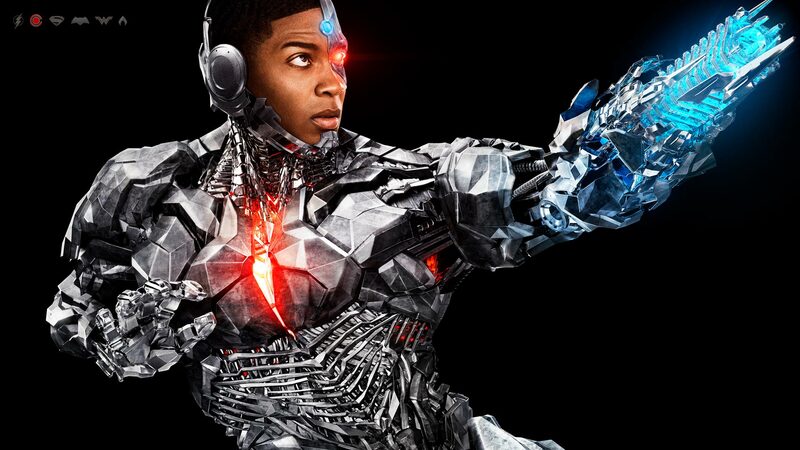 One of the planet’s greatest heroes, Cyborg nevertheless puts all of his internal struggles aside when the time comes to save innocent lives and protect the Earth. Because of his ability to interface with computer systems, perhaps there is no hero more fitting for this modern, digital age. For more on Cyborg's history, visit his page on DCUniverse.com. How far must Cliff go to reunite with his daughter on #DCUDOOMPATROL? New episodes Fridays, only on #DCUNIVERSE.